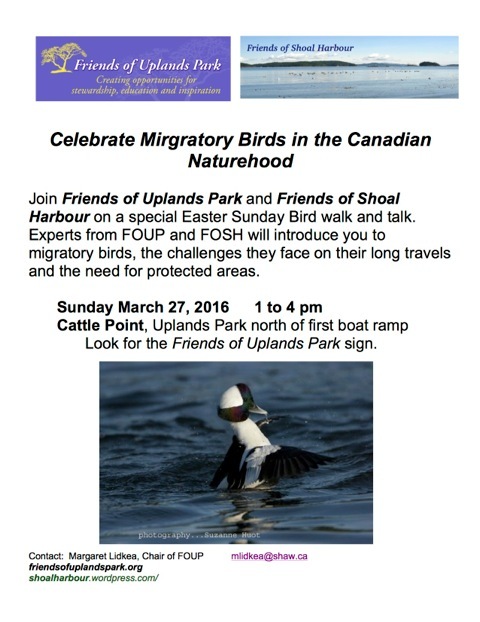 Join Friends of Uplands Park and Friends of Shoal Harbour on a Special Easter Sunday Bird Walk and Talk. Experts from FOUP ad FOSH will introduce you to migratory birds, the challenges they face on their long travels and the need for protected areas. Meet at Cattle Point a the first boat ramp near the Friends of Uplands Park sign.